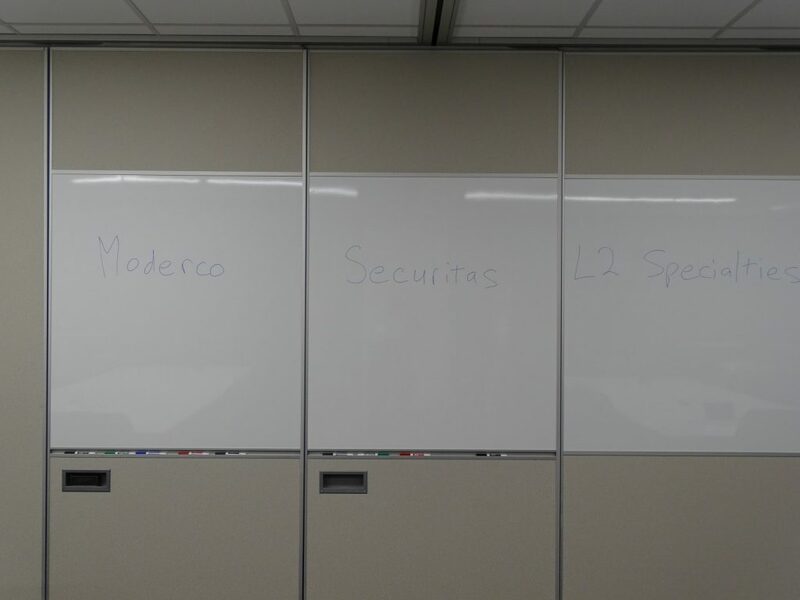 Love how this project shows many of the things we do at L2 Specialties. 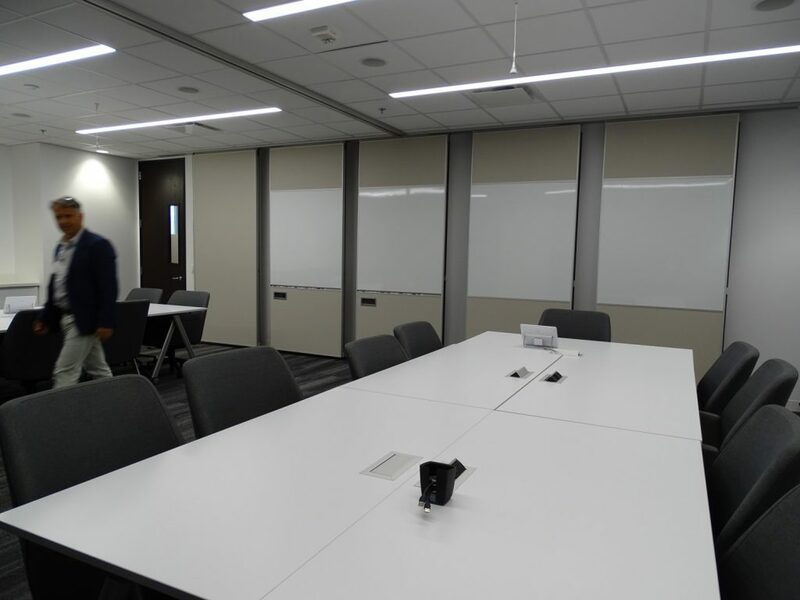 The finishes on this project designed by Fisher Design Group, look fantastic and all of the markerboards give a lot of room to collaborate and share ideas. 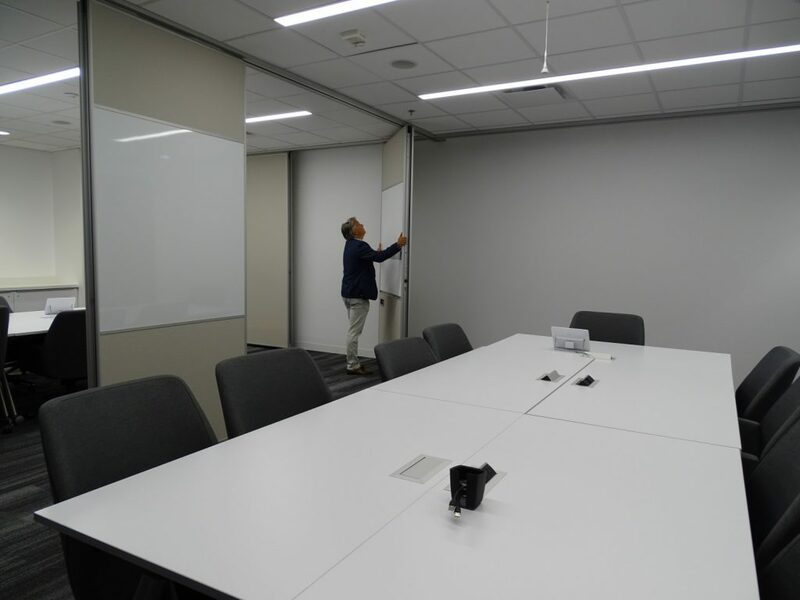 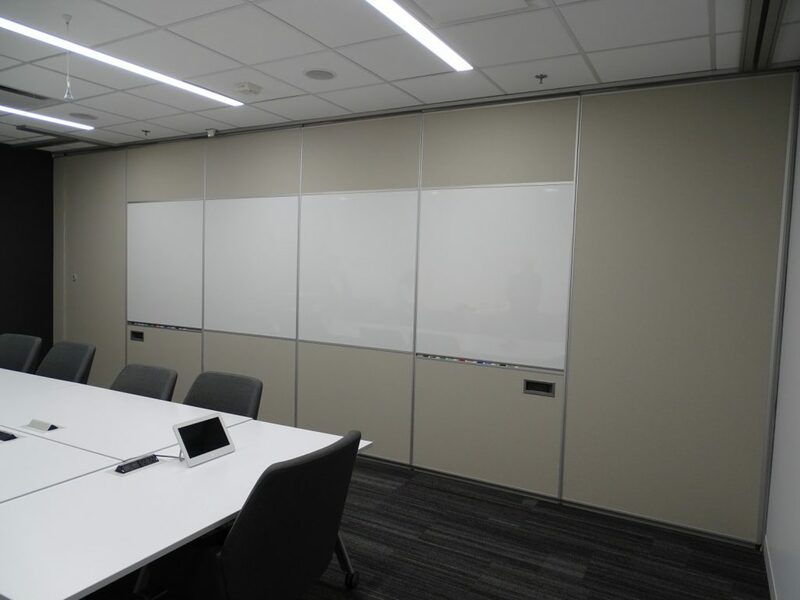 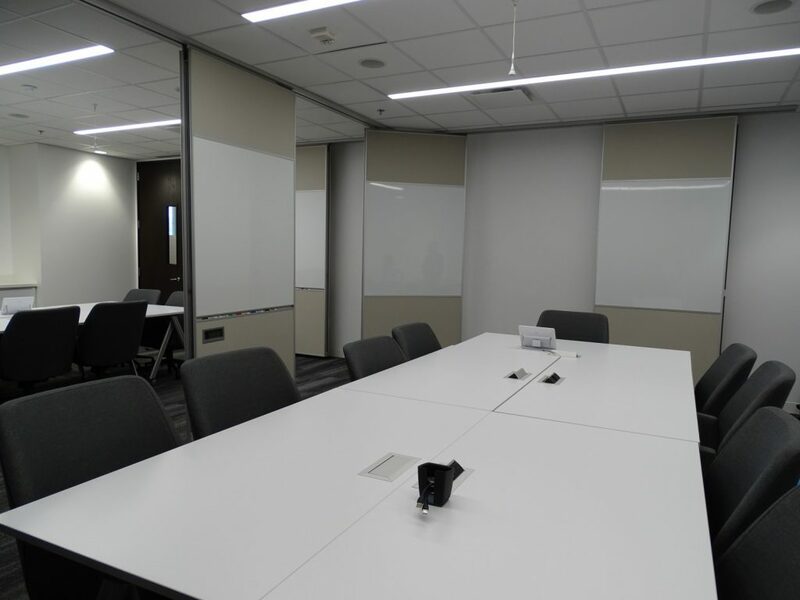 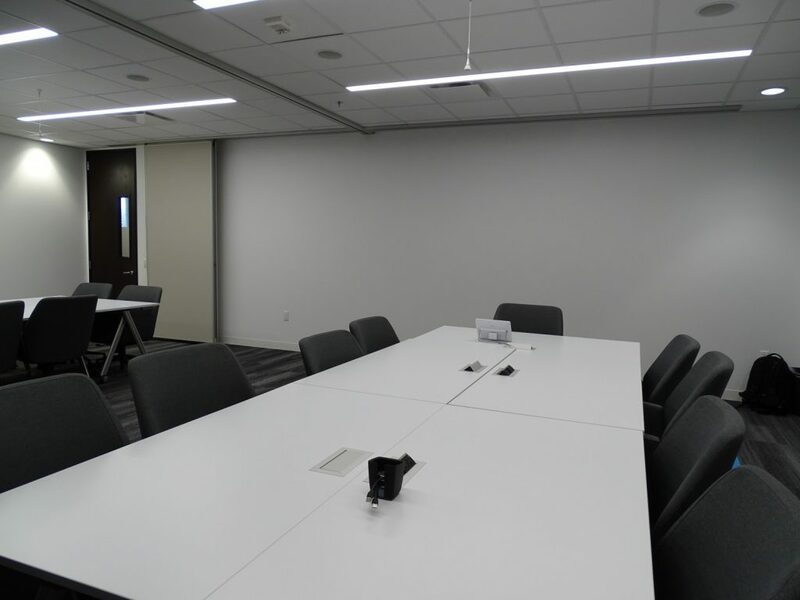 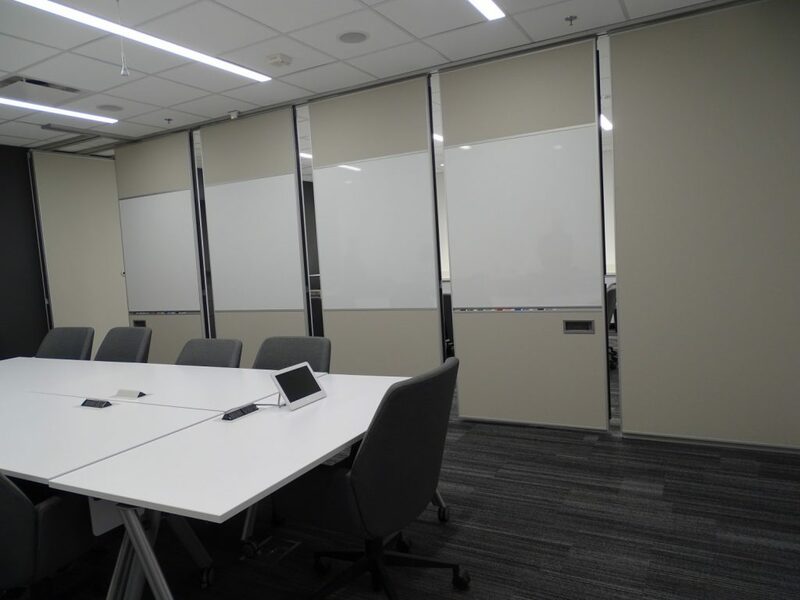 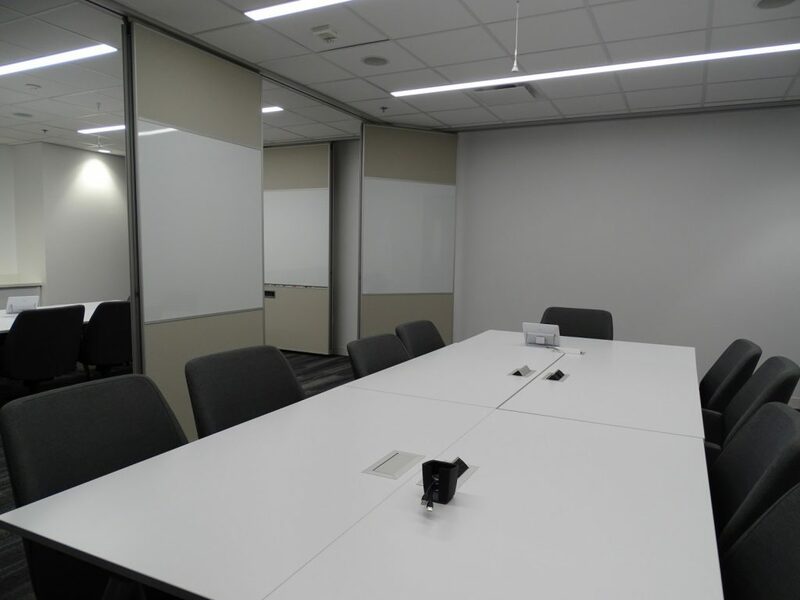 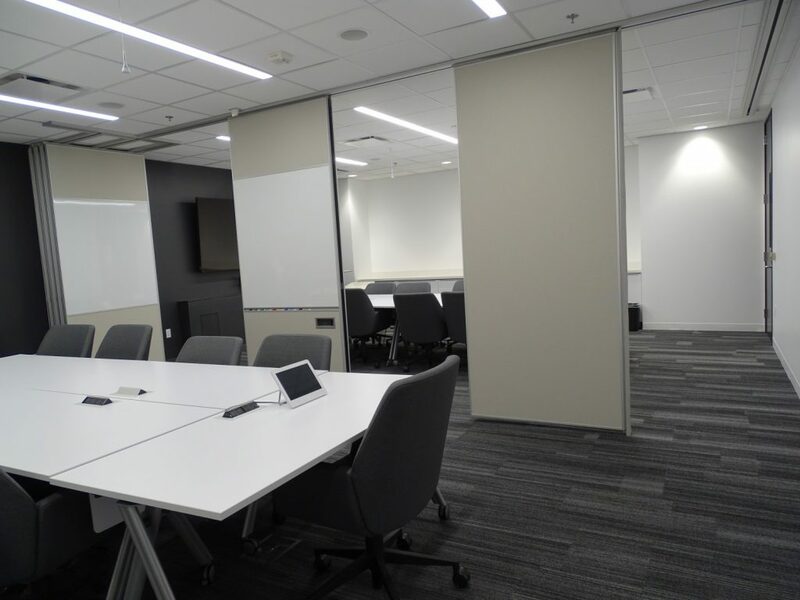 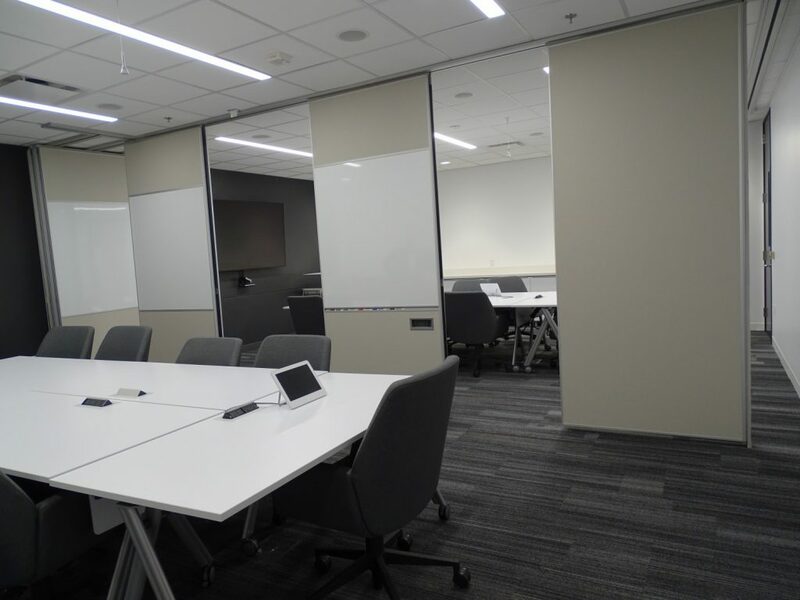 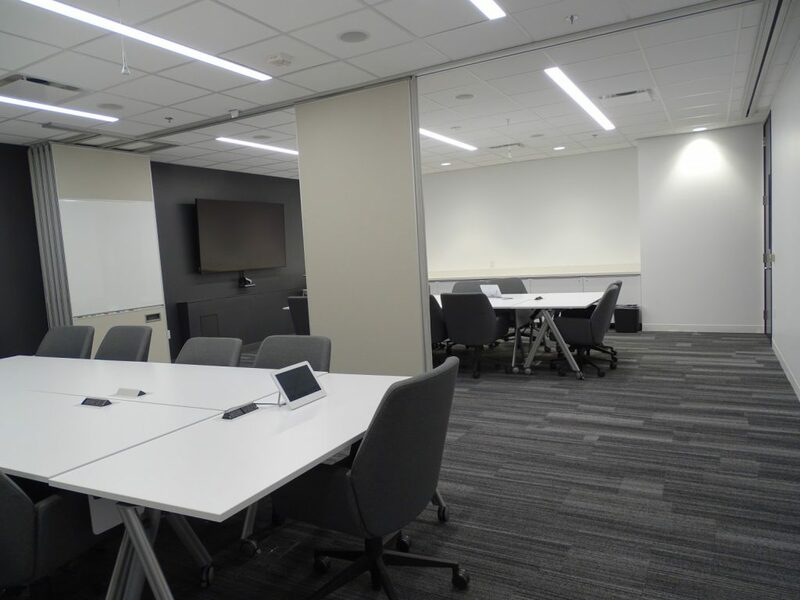 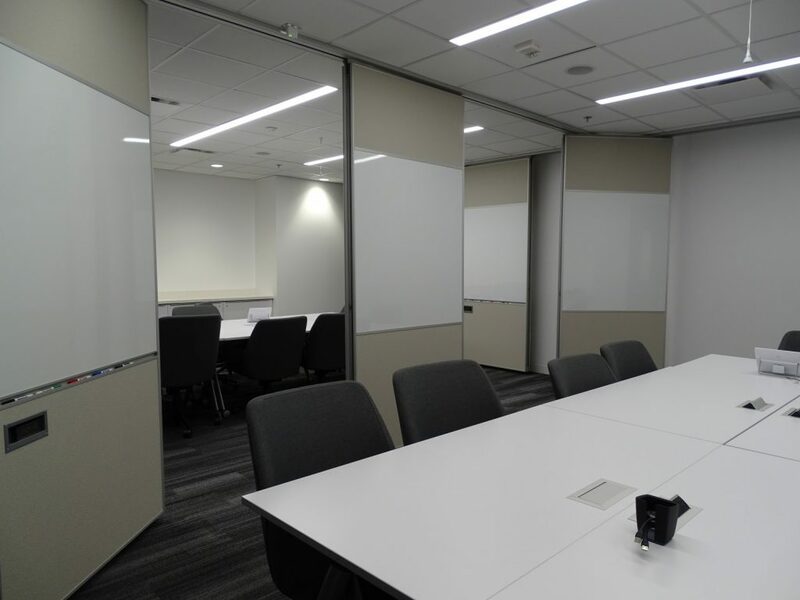 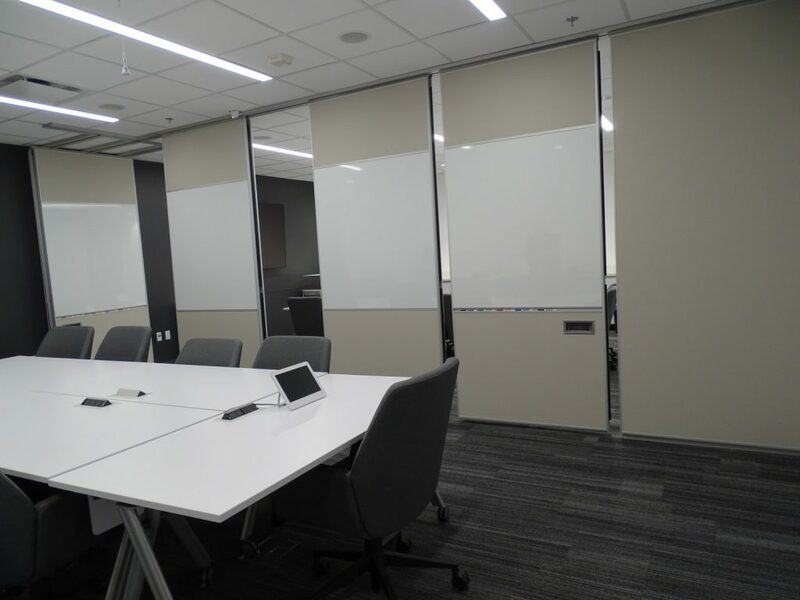 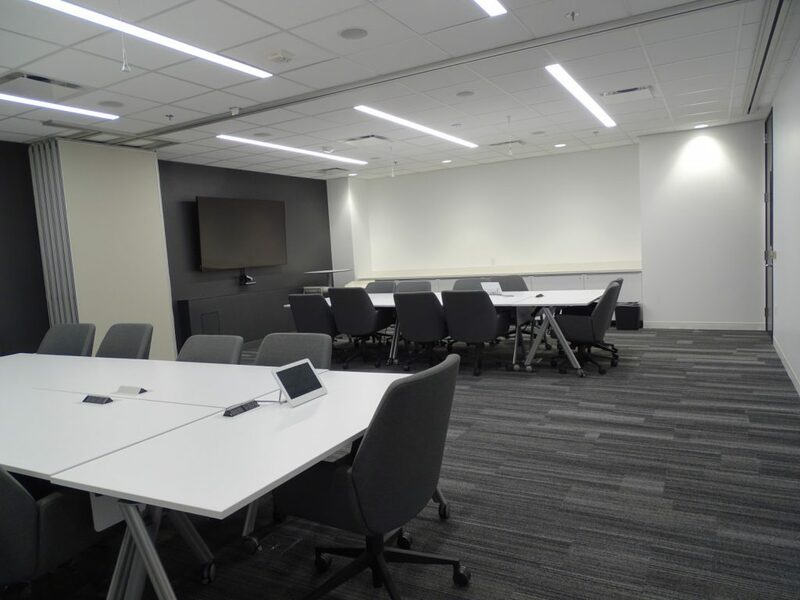 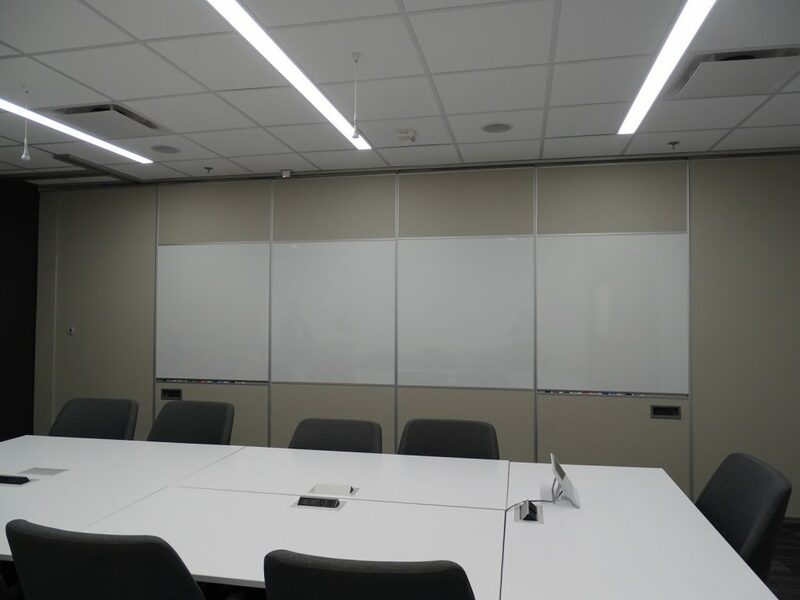 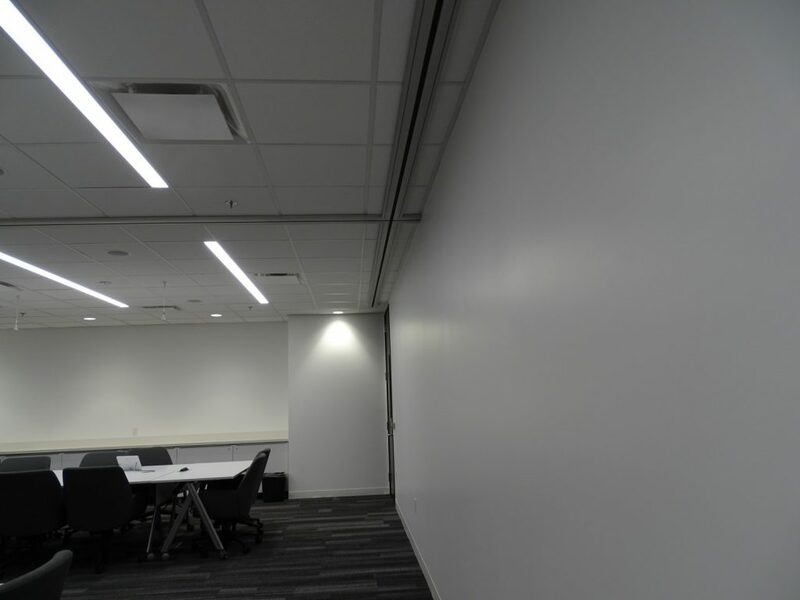 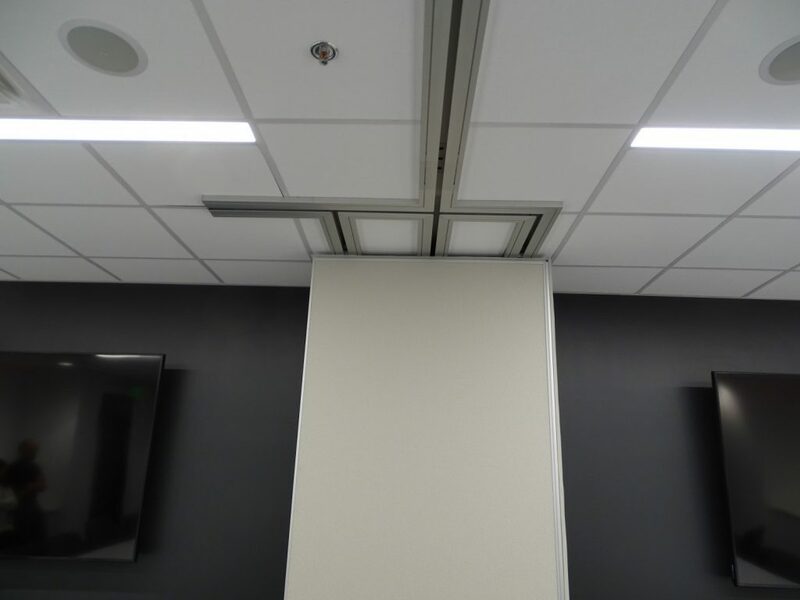 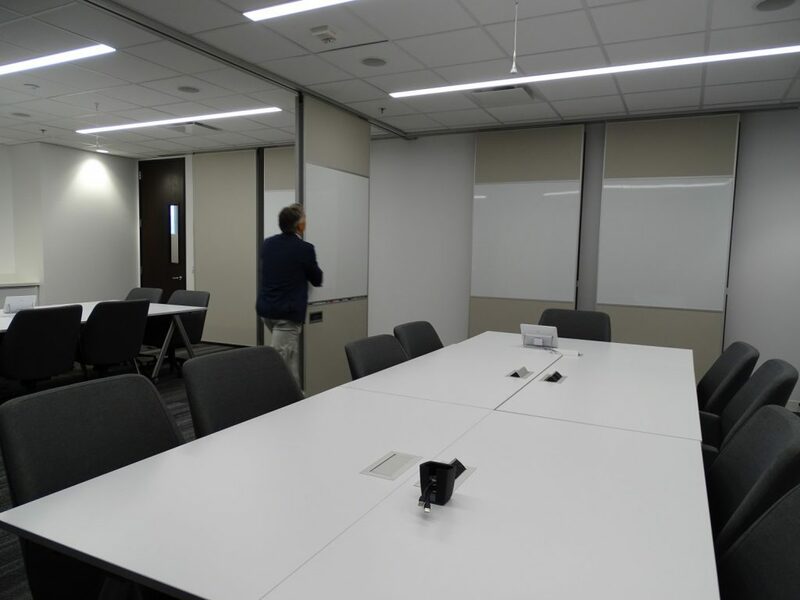 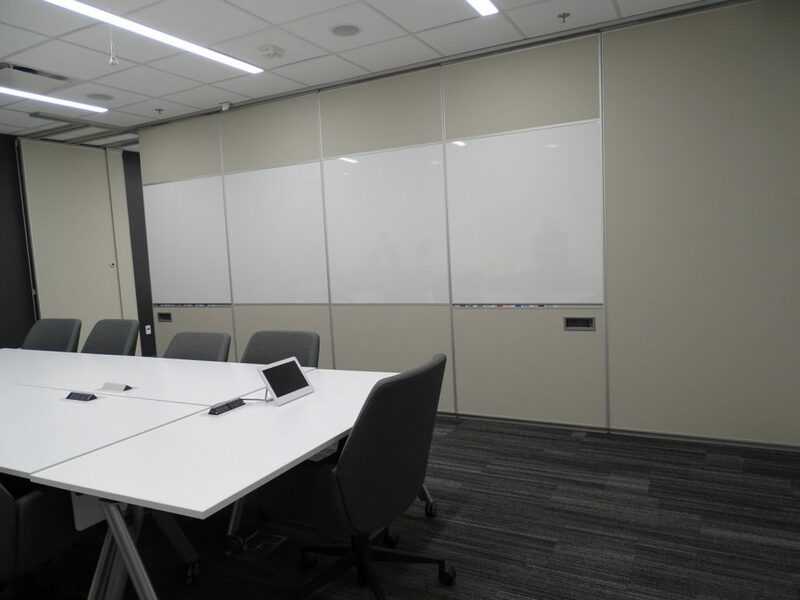 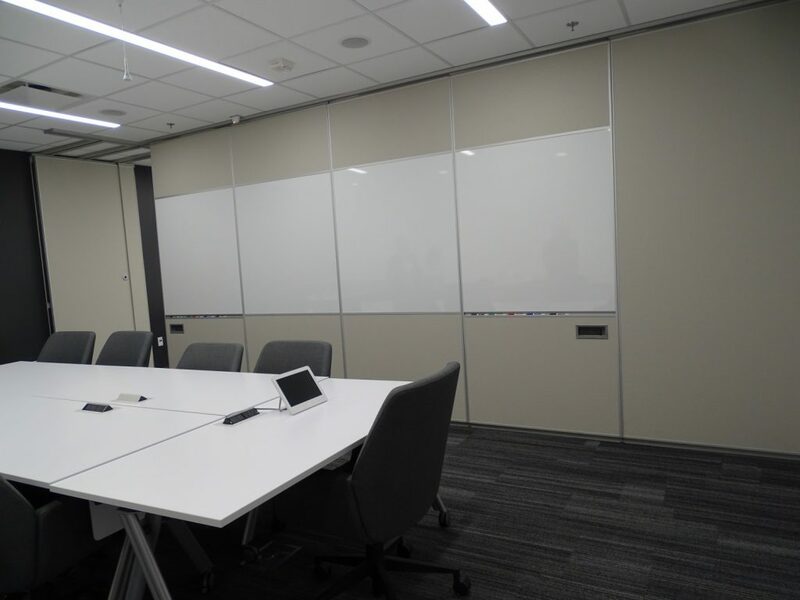 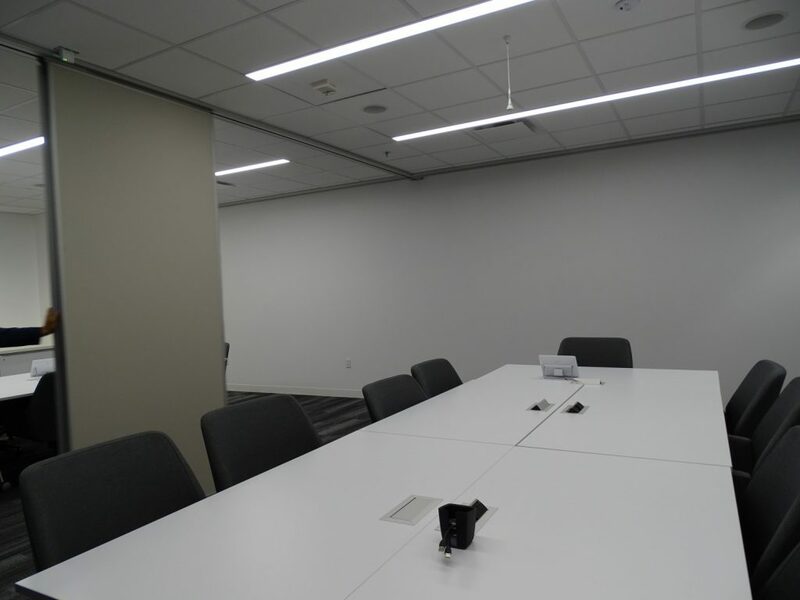 The truly flexible layouts allow the walls to divide the room, utilize the marker boards during large meetings or pocket away – your choice! 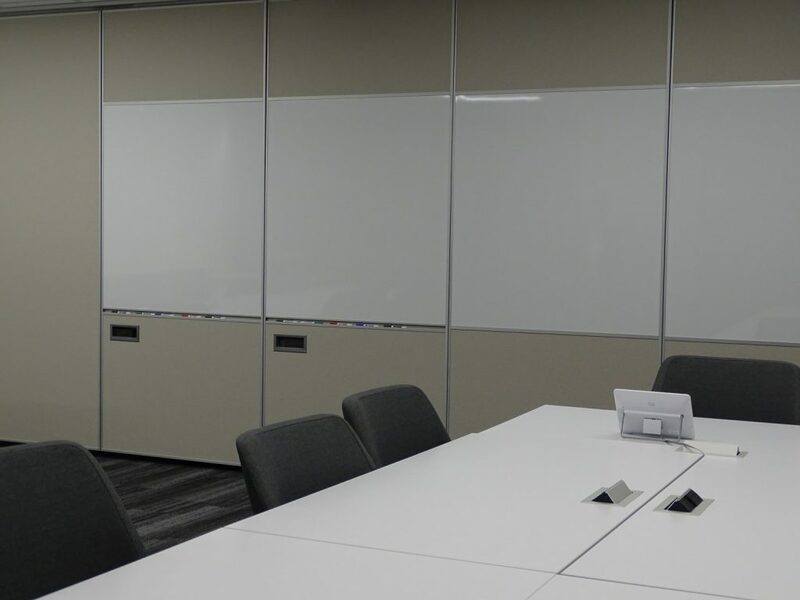 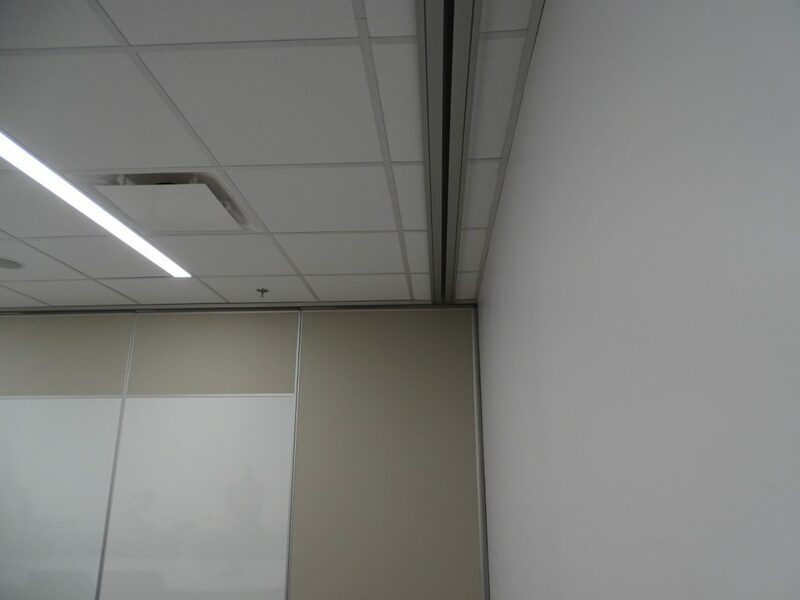 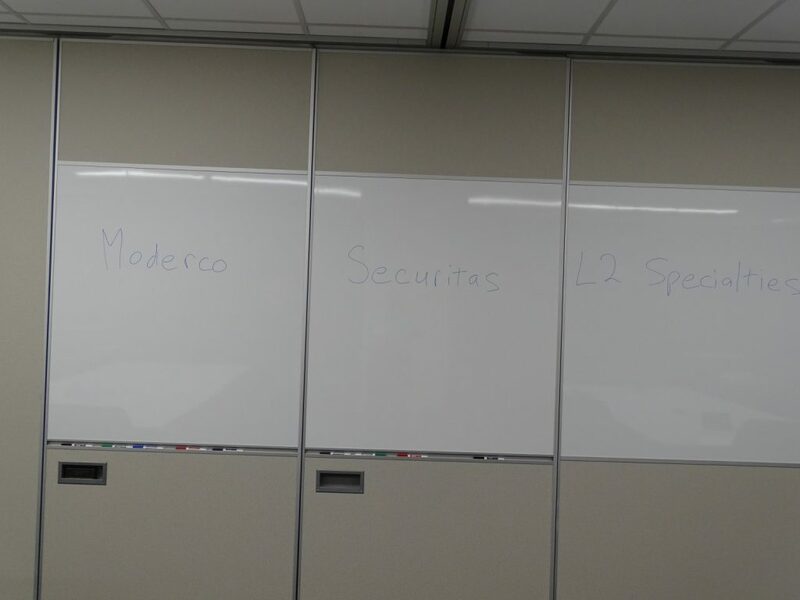 Moderco’s 841 partitions with 52 STC provide all the privacy your meetings need.